In most cases, your ereader will be automatically authorized when you transfer books from Adobe Digital Editions (ADE) to the device. Your ADE authorization is applied to the ereader during the transfer process. The NOOK GlowLight Plus works differently than other ereaders and doesn't use ADE. Instead, use these steps from Barnes & Noble to authorize your GlowLight Plus. If you have a Kobo, you may not need to transfer ebooks from ADE to authorize it. Newer Kobo ereaders (Kobo Forma, Aura ONE, Aura H2O Edition 2, Aura Edition 2, and Clara HD) have OverDrive built into the device, so you can borrow and download ebooks directly from the Kobo catalog. 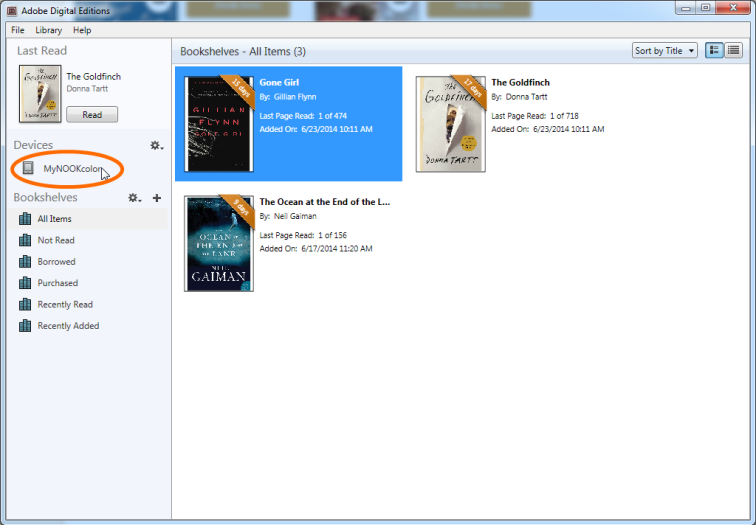 Learn more about how OverDrive works on Kobo ereaders. 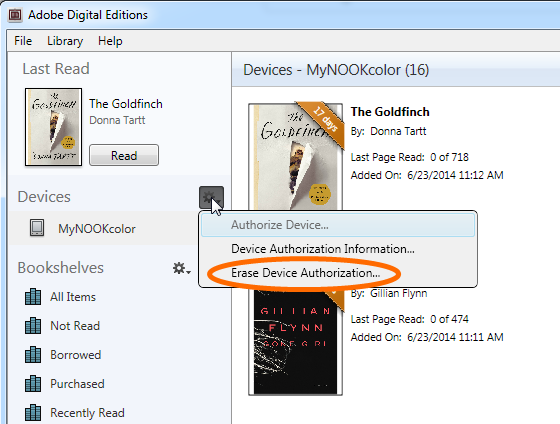 You can use Adobe Digital Editions (ADE) to deauthorize most ereaders using the steps below. If you have a NOOK GlowLight Plus, you can deauthorize it using these steps from Barnes & Noble. Note: If you deauthorize your ereader, you'll lose access to any ebooks you previously transferred to that ereader until you authorize it again (with the same account). Click on your ereader under "Devices." Select Device Options, then Erase Device Authorization. Click Erase Authorization to confirm.